Best Buy! Winery owner Butch Milbrandt welcomed acclaimed Kendall Mix as his winemaker in the summer of 2017. 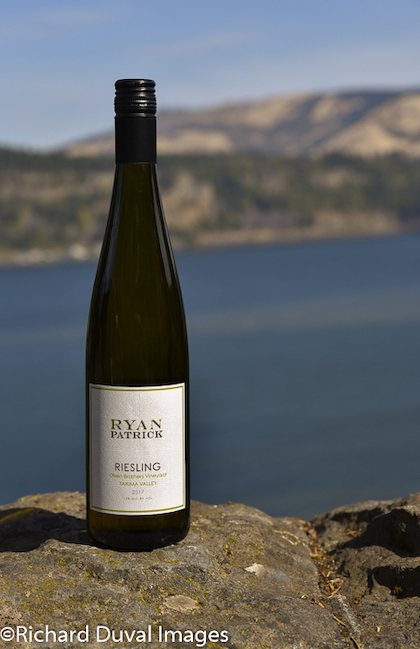 The transition appears rather seamless because this marks the third consecutive vintage for Ryan Patrick’s Riesling from the Olsen family to earn a gold medal at a Northwest competition. Bold aromas of lemon and lime are joined by a hint of zesty white pepper. Those are followed by a palate full of citrus, pineapple and pear. This Riesling, a star at the 2018 Great Northwest Invite, has perfect acidity for the residual sugar that crests shy of 2%, making it a natural choice for pairing with sushi or blue cheese.